Jocelyn came to our house to photograph our newborn baby, as well as the rest of the family. 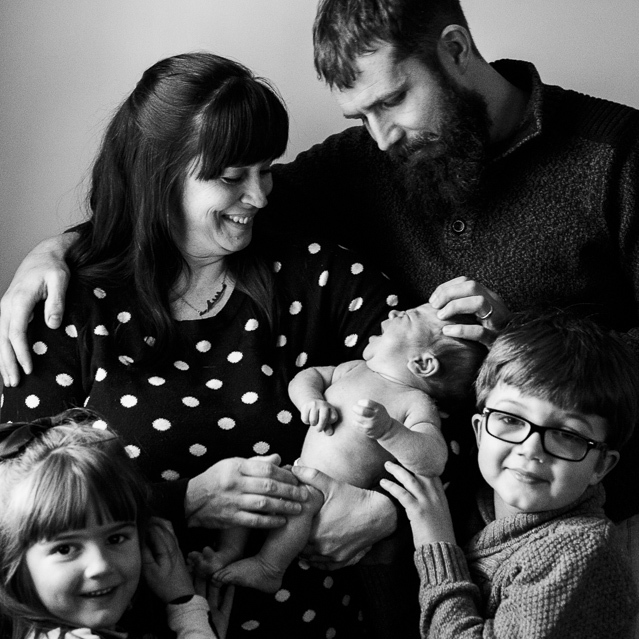 With our older children buzzing around, and the baby seemingly needing endless feeding, having a photographer in the house could easily have gotten a bit much for us. But Jocelyn was wonderfully relaxed and professional. Her demeanor no doubt contributed enormously to the success of the session. We couldn't be more pleased with the photographs. She is well-organized, fun, witty, talented, exciting, supportive, and patient. She did a great job of grasping our personalities and, as a result, took photos that totally complimented our style. And, you will totally want to be her friend! I can honestly say that I am completely thrilled, floored, and over-the-moon with our wedding photos! The icing on the cake is that Jocelyn is an amazing woman and was completely awesome to work with. She really knows how to make people feel comfortable and enjoy the experience of being photographed. I couldn’t have imagined it better! We were truly fortunate to have Jocelyn take Elliot's newborn portraits. In one quick month, he's already grown and changed so much. Because of Jocelyn's kind manner, gentle direction, and creative eye, we now have a set of lovely images of our son and our whole family at this brief, beautiful stage. We will always treasure them. want to see more weddings? want to see some family portraits? do you like what you see? work with me!